Now up all summer long! The Baja Beach sand sculpture at the Zoo. 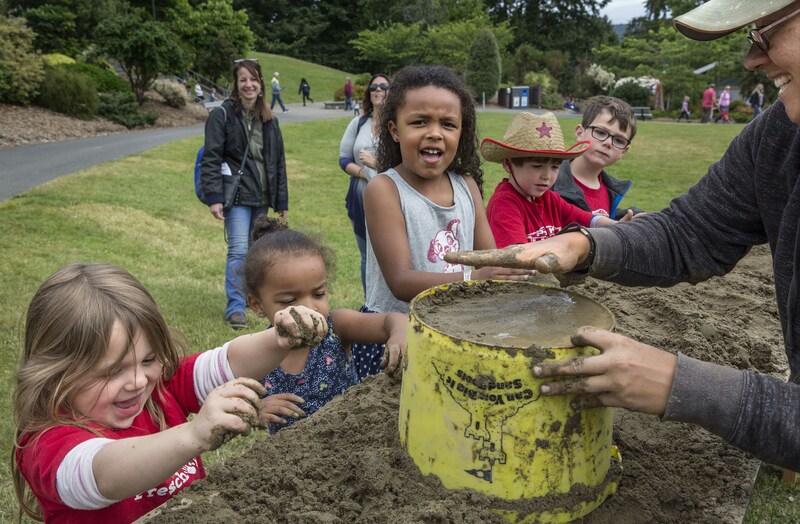 International sand sculptor Sue McGrew and her team have created a mammoth sand ocean scene on our Hub lawn! 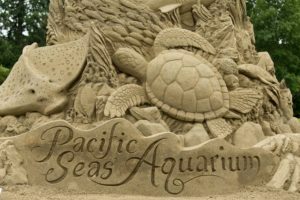 Sea turtles, hammerhead sharks, eagle rays, fish, jellyfish – all the animals coming soon to our brand-new Pacific Seas Aquarium are here, sculpted in sand. Sue McGrew gives a sand sculpting demonstration. 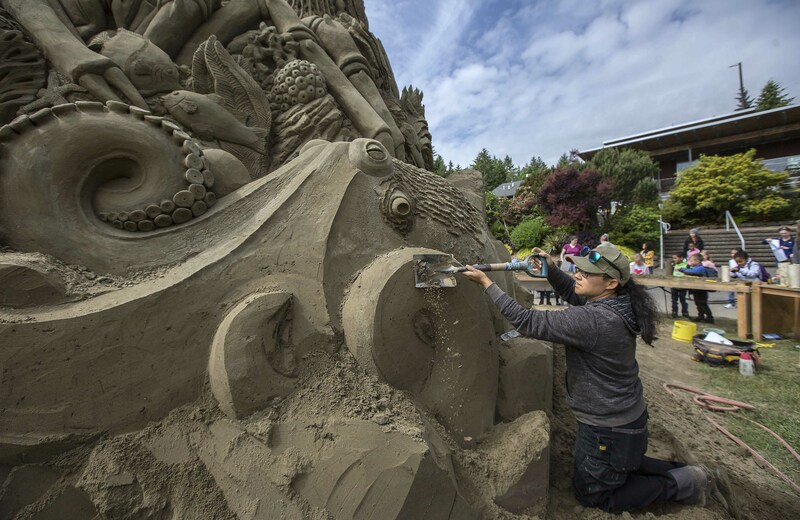 Sue’s an accomplished sand artist who has created enormous sculptures around the States, Europe and Asia. But how does Sue do it? Sculptors work on the upper half of Baja Beach. As they work downwards, the forms to compact the sand are taken away. 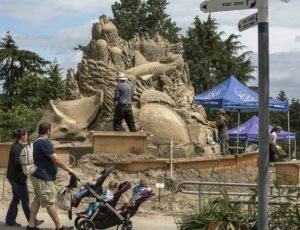 The sand sculpture at Point Defiance Zoo & Aquarium is a big one, with around 100 tons of sand. But Sue’s process is always the same. She starts with a design concept, then stacks wooden forms (like produce crates) to support the sculpture. After her team shovels and compacts specially-sourced sand onto the forms, they start sculpting. When they’re done (a big sculpture can take weeks) they preserve the sand with a special glue that holds up even in the rain. Sue McGrew sculpting Baja Beach. Watch how Sue’s team compact the sand ready for sculpting.